First Wash: Hair felt really clean after shampooing and especially soft during conditioning. After drying, the hair felt quite weightless and more tamed than usual. Second Wash: Hair again felt really clean during shampooing and after the full wash. After drying, it did feel weightless but the hair did feel quite as tamed. Overall: Although the product was nice to use, very cleaning and softening, it did not reach the expectations that I had for it. I must say I prefer my John Frieda products and at four times their price, that seems a tad ridiculous. I washed my hair with John Frieda again for the third wash, and I noticed just how much softer my hair was and felt. 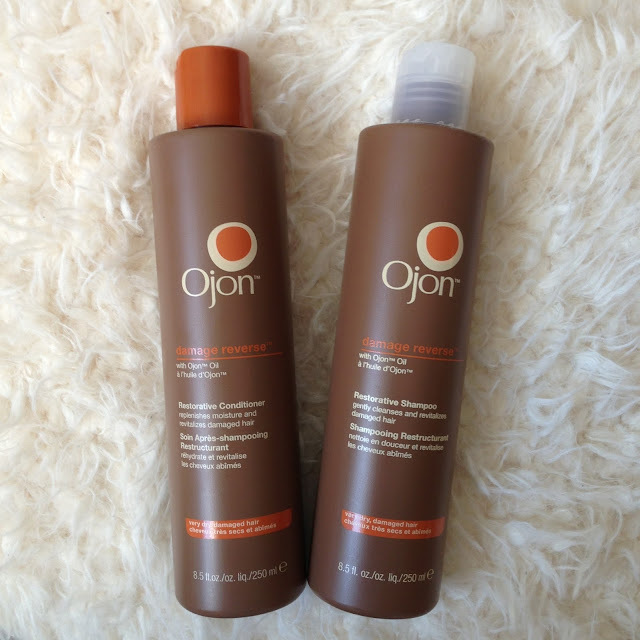 I also found that the Ojon products made my hair greasy after just a day or so which I never usually get. I have heard great things about the Ojon products from other bloggers, but maybe it is this particular range that is not as exceptional. I will keep using them to see if I do start to notice any improvements, but for now I can’t seem to see them. The scent is also nice, but nothing to shout about. I didn’t immediately think wow, this smells fantastic as you get with some expensive products, but it did smell as though it would have something in it that works well for your hair. We’ll see. At this point, I definitely wouldn’t spend my money on them. Get yourself some John Frieda instead! What do you guys think of these products? Is it just me that isn’t as impressed?